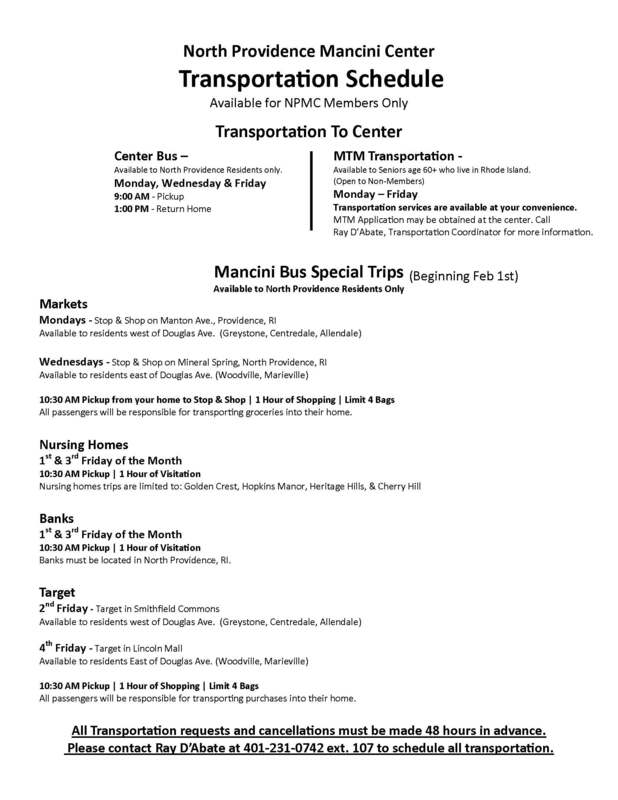 “Transportation services are provided through the Center to all Senior Center who are North Providence residents, handicapped and disabled adults. You may contact the Receptionist at 231-0742 to arrange for your transportation reservation. Thank you.